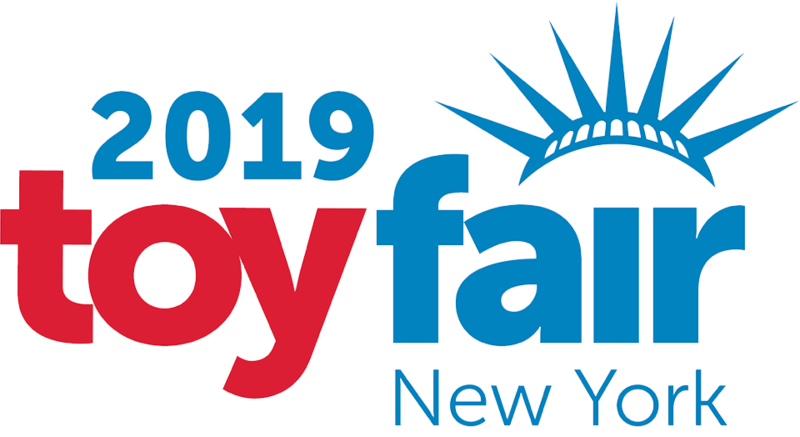 New tactile toys and toys that will make you think could all be found in the Relevant Play booth at New York Toy Fair! I was so impressed by Coilz, which will be available in Fall 2019. My sons literally bounce around from morning until night, so I immediately felt a strong connection with Coilz! For kiddos ages five and up, these Coilz have cool designs on the top and a sturdy spring at the bottom. You will be able to get them in fun starter pack, super pack, and a cup pack which has everything you need to have a bouncing good time! 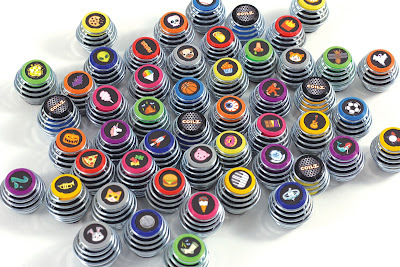 Coilz are springs that act as a collectible and a sensory toy, and with 50 to collect in series one, expect your little collector to want to spring for them all! The price point makes it hard to pass up as it will provide many elements of play, which requires skill and movement. The Starter pack is a blind pack and it includes four collectible Coilz, and a collector’s card for just $4.99. 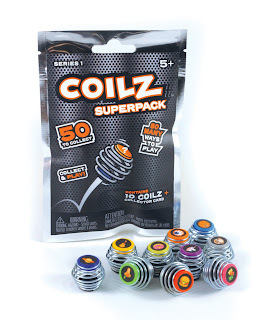 The Coilz Super Pack is also a blind pack and it includes eight Coilz, and a collector’s card for just $7.99! The Coilz Cup is the perfect collection to have a bouncing battle Royale! 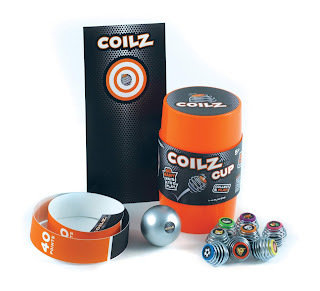 Included in the Coilz Cup are six Coilz, a bocce ball, a distance marker, two backboards, a timer, and a collector’s card. 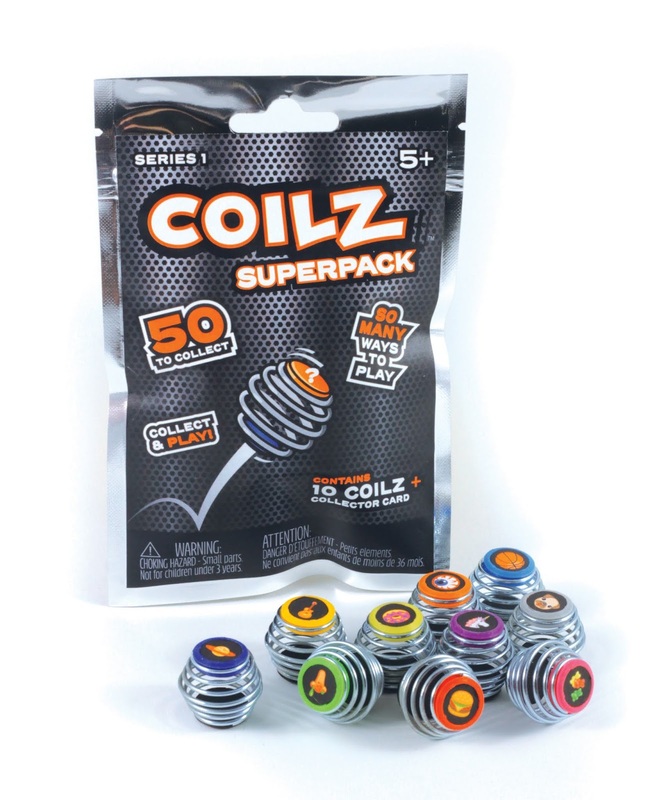 Withe Coilz Cup alone you can play up to 10 challenges! Go check out our video, and see Coilz spring into action! Do you know the wonders of Mad Mattr? 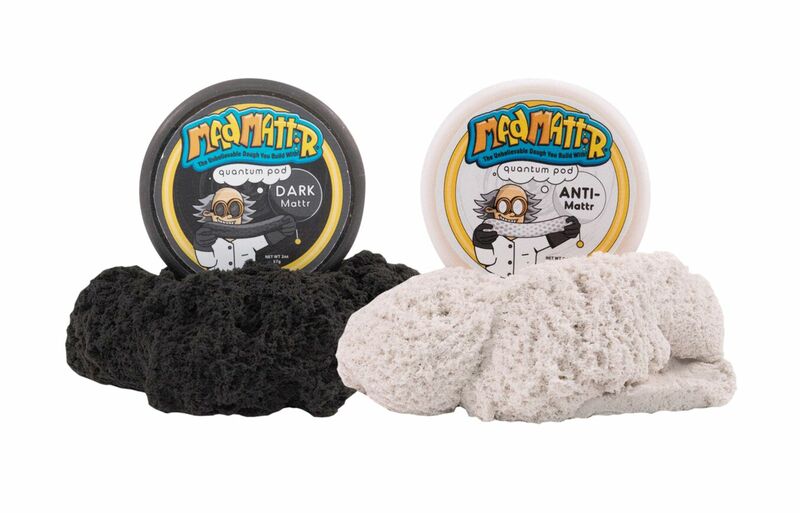 MadMattr never dries out when properly stored, extremely easy to clean up and store, can be molded into bricks, and then squished down like melting ice cream. Plus it keeps kids busy! 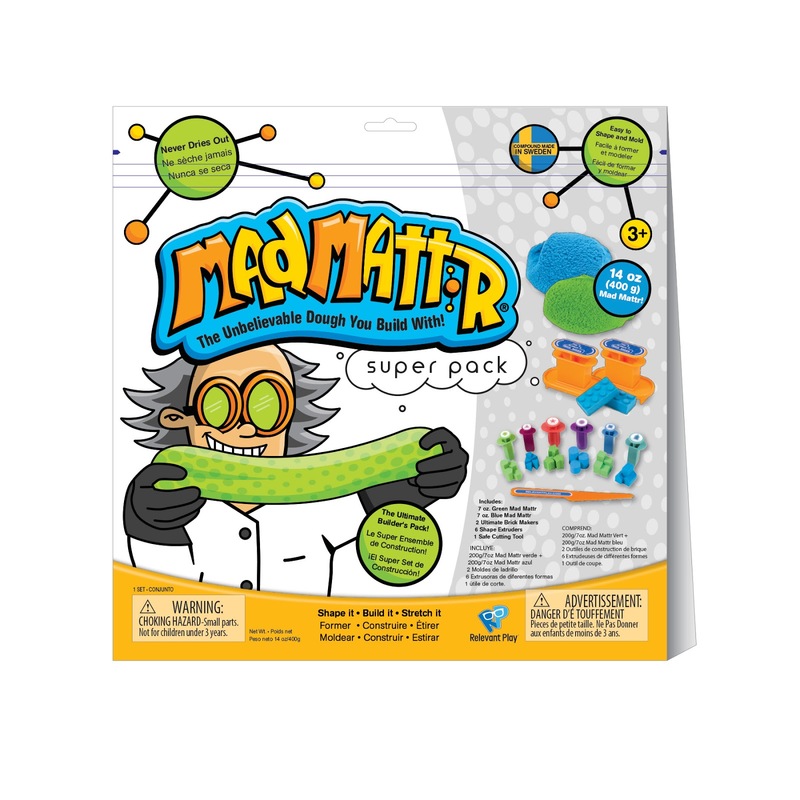 We love Mad Mattr in our house, and we are so happy to see so many to titles for this amazing line of toys that promotes thinking, open-ended play, and provides that sensory needs so many kids crave! Go to the dark side or the light side with the new for the line Dark Matter (black) and Anti Matter (white) that will be available in 2 oz quantum pods. The new contrast colors are available now for $7.99 for ages three and up and would be perfect Easter basket fillers! The quantum pods are also great to bring along to restaurants! I always keep a quantum pod or two in my bag just in case! The Quantum Packs are resealable 10 oz bags and now you can get a whole range of colors! New for spring are bright colors with warm tones like Hello Yellow and Orange Rush! You can also get Hello Yellow and Orange Rush in the 2 oz quantum pods, which is perfect for Easter baskets, or just because! This fall, Jewel Tones will be introduced with colors available both in Quantum Packs and Quantum Pods with new colors like Pink Flamingo, Rocket Red, Green Dream, Blue Wonder, and Purple Paradise. Quantum pods are $7.99 and for ages three and up. Quantum packs are $12.99 and for ages three and up. Mad Mattr is so versatile in that you can build and satisfying destroy your creation! Grab the Super Pack - The Ultimate Builder’s Pack for your builder for just $24.99 and for ages three and up. 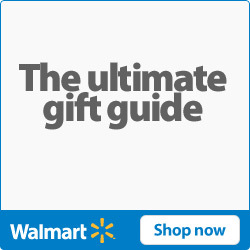 IT will be available this fall, so this is a great holiday gift idea! The Super Pack includes 14 oz of Mad Mattr (7 oz each of green and blue), two Ultimate Brick Makers, six extruders, and a safe cutting tool. Everything comes packaged neatly in a resealable package for easy storage, which also makes it great for on the go to grandma’s or even on vacation! 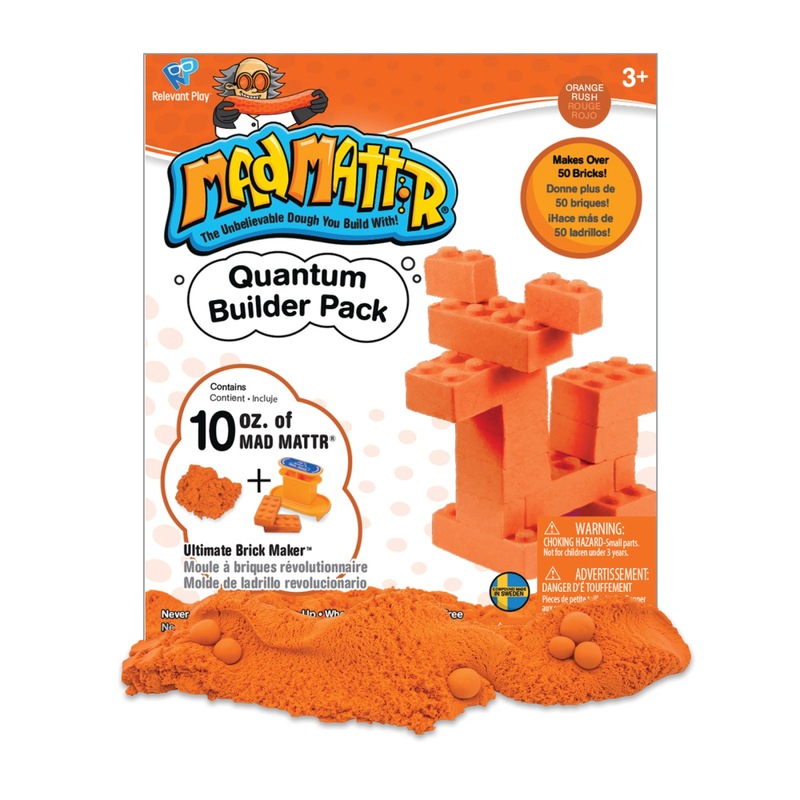 Also check out the MadMattr Quantum Tool Box that includes an awesome collection of stamps and brick makers to make customized buildings and figures all made from MadMattr! Meteor Monsters Series 2 will be coming out this fall for $9.99. Included is a meteor and a whole new gang of stretchy, intergalactic monsters that you can help spring from the MadMatter! The mystery is the one of six colors of genuine MadMatter inside, and one of eight new monsters! 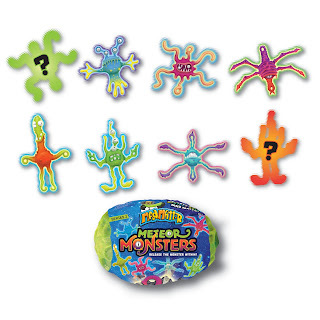 You can also collect one rare and one ultra-rare monster! 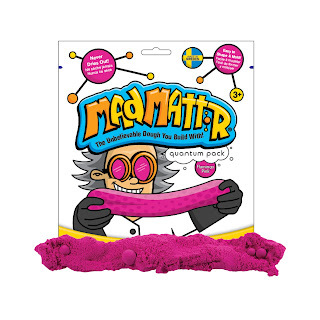 Who will you break free from the squishy and stretchy clutches of MadMattr? We can’t wait to stretch and squeeze them all! 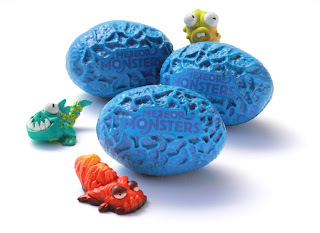 New for fall is a whole new line of Meteor Monsters, but they’re Mini Meteor Monsters! 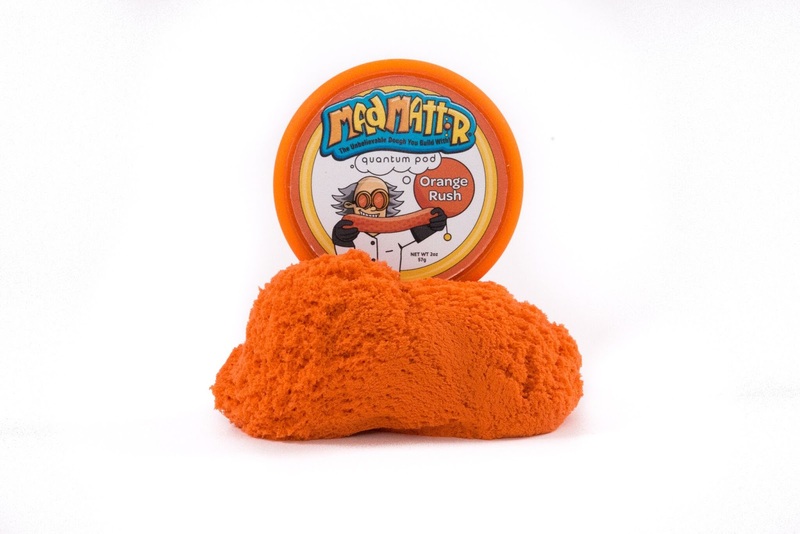 Inside each mini meteor is a mini monster waiting to be released! Inside you can also get 1 oz of Mad Mattr in one of six colors! There are 100 Mini Metoeor Monsters to collect in all! Can you collect them all? Available this fall for $4.99 each. Everything is better when there’s sparkle! Mad Mattr can be formed into anything you want, but sometimes kids need some extra help to create, which is why I love the new Unicorn Sparkle Mattr set, which is available now for just $14.99 and for ages three and up! Included in this set are three colors to get you started blue, pink, and white! 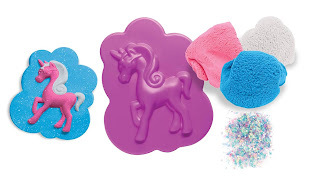 You also get a Unicorn mold and glitter to add some magic to your Mad Mattr creation! 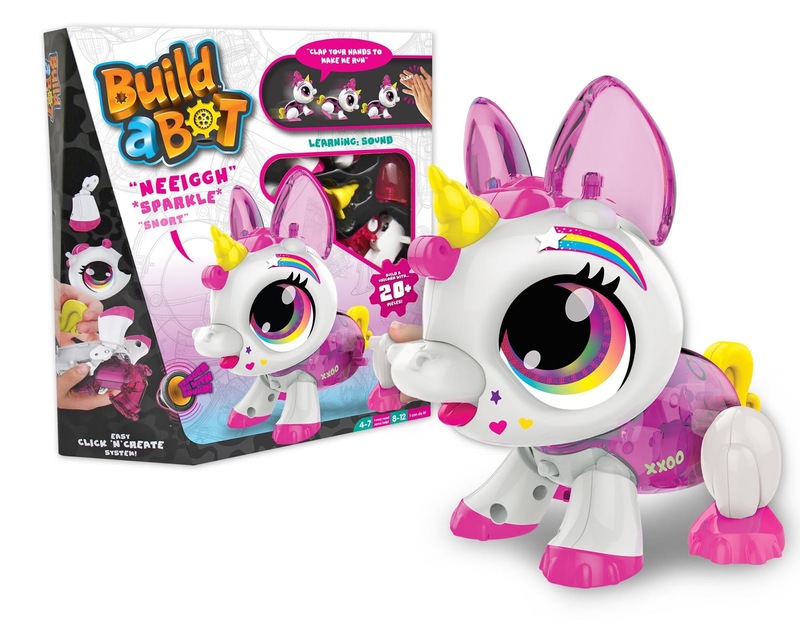 You can dry out your Unicorn Sparkle MadMattr to make a beautiful sculpture or break it down and make it again! You can always use other molds and cookie cutters, too! Finally take STEM building to the next level by creating your very own robot with Relevant Play’s Build-a-Bot! Build-a-Bot are a unique and fun way to incorporate STEM during play time. With the simple click’n’create system, your little learner can create bots inspired by insects with Build-a-Bot Bugs for $19.99 each by easily clicking the parts together. Once you're done creating your bot, you can give it simple commands! 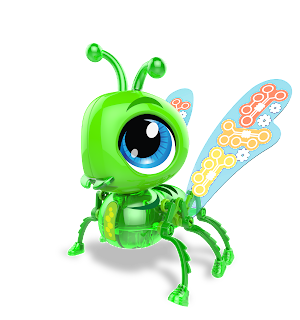 Mix and match each set to mix caterpillars, ants, and butterflies! 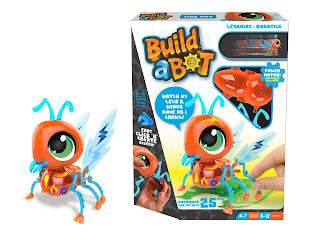 Study the art of sounds with Build-a-Bot Sound with the chance to create your very own pet for $29.99. You can collect a cat, Dalmatian, or unicorn. All of the sets come with stickers and the ability to mix and match parts for fun and unique creative play! Both sets will be out Summer 2019. Relevant Play’s line up has so much to offer, and they always keep little minds working, thinking, and creating.